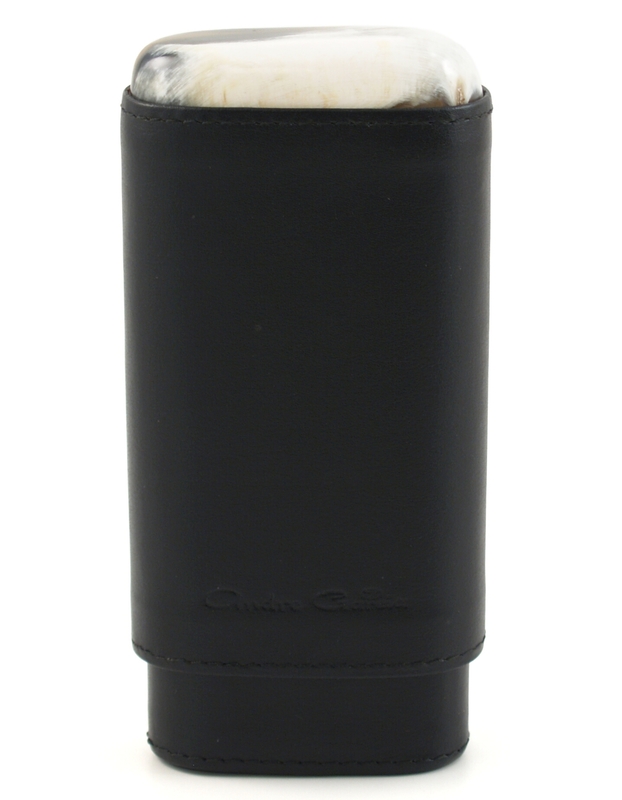 Store your cigars with this stunning Florence black Andre Garcia leather cigar case that is from the Buffalo Horn Collection. 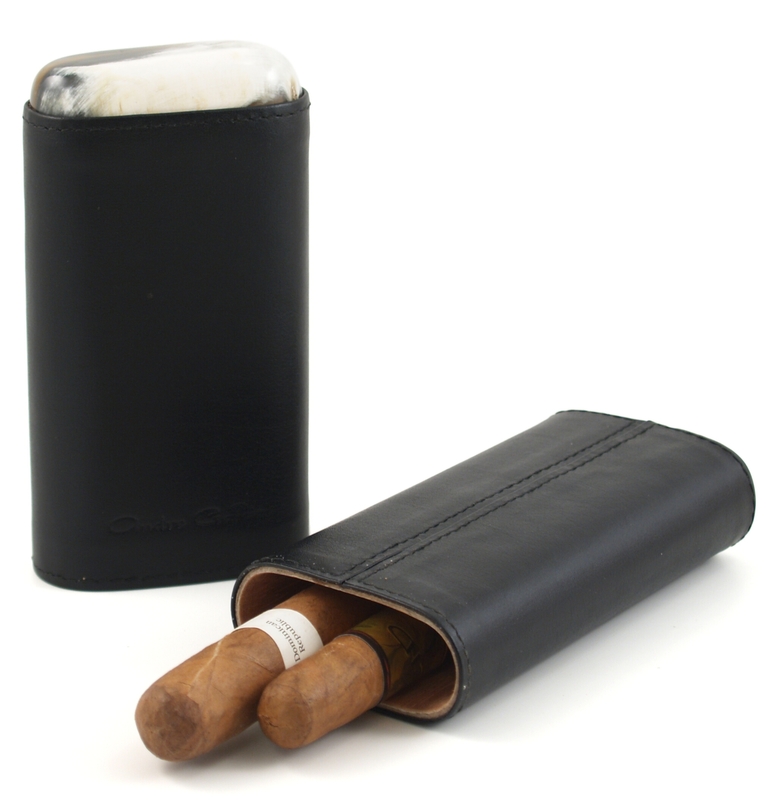 The smooth leather case is fully lined in Spanish cedar to help keep your cigars in a perfect environment. The top of the case is finished with a beautiful piece of polished Australian buffalo horn. The friction closure provides a barrier keeping moisture inside the case. The adjustable length case will hold three 54 ring gauge cigars with a length of up to eight inches and it compacts to as small as 6-1/2 inches.